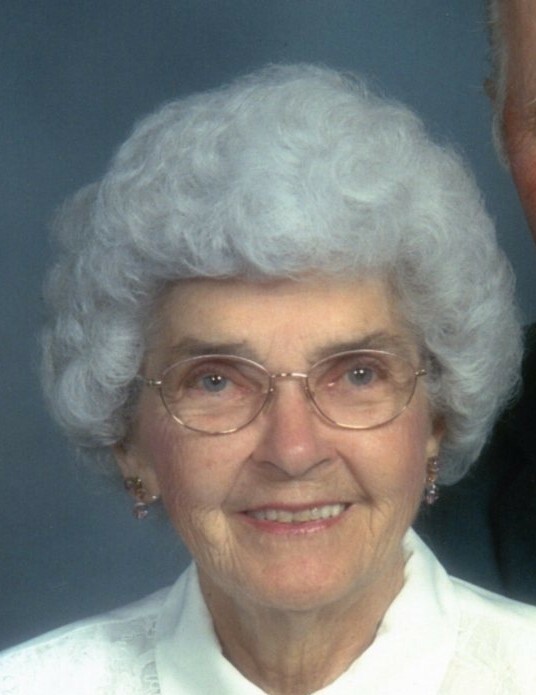 Florence R. “Odie” Aden, 92, of Golden, died at 6:32 pm Saturday, April 13, 2019, at the Golden Good Shepherd Home. Born February 15, 1927, in Media, Illinois, Odie was a daughter of Gayle and Gladys (Mathers) Heap. She was a 1945 graduate of Media-Weaver High School and a 1947 graduate of Burlington Beauty Academy. She married Virgil “Squirt” Aden on May 9, 1948. Mrs. Aden farmed with her husband in Adams County for many years and worked as a cook for the Golden Windmill Inn. She was a member of Trinity Lutheran Church in Golden, where she participated in the Quilting Group. She enjoyed sewing and crafting, yard work, playing cards, and reading. Odie was a cherished wife, mother, grandmother and great-grandmother, and dedicated her entire life to caring for her family. Survivors include daughter Jerelyn Douglas of Camp Point, seven grandchildren, Brittany Bearden and husband Brad, Kara Marlow and husband Chris, Lindsay Wiskirchen and husband Troy, Jacey Ravencamp and husband Jack, Levin Allison, Rylan Douglas, and Logan Douglas; and 10 great-grandchildren. Odie was preceded in death by her husband, her parents, four sisters, one daughter, Gayleen Douglas, and sons in law Daryl Douglas and Fred Douglas. Services will be held 10 am Thursday, April 18, 2019, at Trinity Lutheran Church in Golden, Pastor Patricia Reep presiding. Burial will follow at Golden Memorial Gardens. Visitation will be from 6:00 p.m. until 8:00 pm Wednesday, April 17, 2019, at the Lummis Hamilton Funeral Home in Camp Point. The family suggests memorials to Golden Good Shepherd Home or the Blessing Foundation for Hospice.